The days when homeowners didn’t care much about their floor are long gone. Everyone now is struggling to make their floor as attractive and stylish as any other part of their house. As you build a new house or remodel an old one, bear in mind the fact that your floor plays a critical role in defining your taste and style. If you want visitors to have the right impression of you, then you must pay attention to the type of designs you put in your floor. Like any interior designer would tell you, a custom marble floor border is a simple, but special flooring idea that can work magic in your house. For people who appreciate uniqueness and elegance, this floor border design is a perfect choice as it offers a mixture of creative patterns that will capture your attention even from a distance. Furthermore, this type of border is ideal for a wide range of spaces including living rooms, bedrooms, and dining rooms. It combines traditional and modern styles to bring a rather plain room back to life. 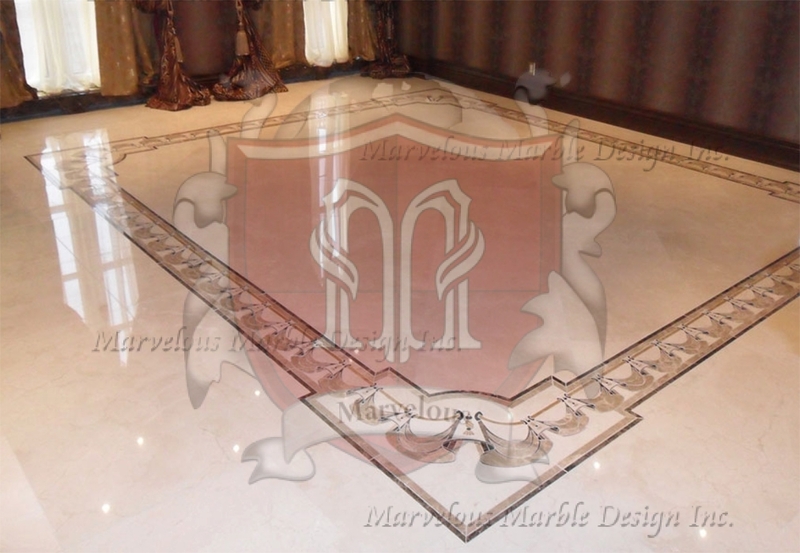 Because different people have different tastes, custom marble floor border allows total flexibility and can assume a variety of design options. So, you have the liberty to choose the pattern, shape and colors that persuade your choice. 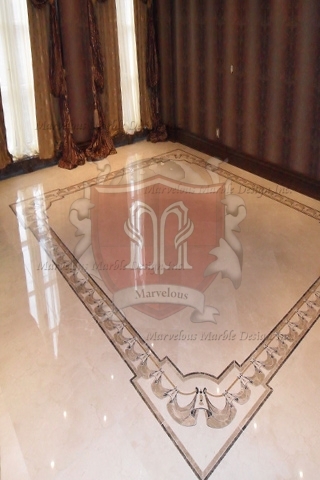 Other than being the eventual expression of natural beauty custom marble floor border also makes a perfect complement to various wall designs. Therefore, you won’t have to get rid of other existing décor elements in house simply because you want to install a marble floor border. Just make sure the colors and patterns you choose for your border match the existing designs. The mosaic beauty of this border design is pleasing to the eye and enhances the overall atmosphere of your house. Moreover, it is a sign of longevity, elegance and strength. 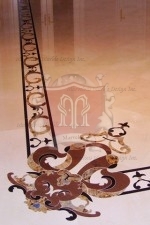 Enjoy the serene antique charm of a unique custom marble floor border that you will hold dear for hundreds of years into the future. This also makes them perfect for hallways and exterior spaces. Their golden brown color makes items of luxury and pure sophistication. 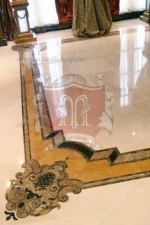 If you are looking to do a serious makeover to your house, consider installing this type of marble floor border as it helps to define different edges of your house while enhancing its overall beauty.